WAKE UP AMERICA! The EPA, OSHA, NOAA are Compromised in the Gulf Oil Disaster! Democracy Now allows free dissemination of their daily videos, audios and transcripts. 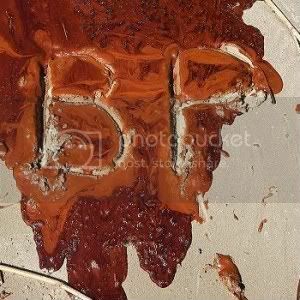 On Tuesday July 20, 2010 they held a shocking interview about the extent of BP-created toxicity and the resulting cover-up in the Gulf oil disaster that should be listened to by every man, woman and child in America, and beyond! I am providing the videos and transcript as a public health service and alert. Amy Goodman interviewed an actual EPA official, and very courageous individual, Hugh Kaufman, a senior policy analyst at the EPA's Office of Solid Waste and Emergency Response. He charges that "the government--both EPA, NOAA, etc.--have been sock puppets for BP in this cover-up." SHARIF ADBEL KOUDDOUS: The Obama administration has given BP the go-ahead to keep its ruptured well sealed for another day despite worries about the well leaking some oil and methane gas. National Incident Commander Thad Allen said the seep was not cause for alarm. Meanwhile, the Occupational Safety and Health Administration, or OSHA, has released its analysis of BP's data on the exposure of cleanup workers to the chemical dispersants being used in the Gulf. OSHA chief David Michaels told the environmental website Greenwire that, quote, "I think you can say exposures are low for workers. Exposures of workers on shore are virtually nonexistent. There are significant exposures near the source, and that's to be expected given the work being done there. Those workers are given respiratory protection," he said. But with BP having poured nearly two million gallons of the dispersant known as Corexit into the Gulf, many lawmakers and advocacy groups say the Obama administration is not being candid about the lethal effects of dispersants. At a Senate subcommittee hearing last week, Maryland Democrat Barbara Mikulski grilled administrators from the EPA about Corexit and said she didn't want dispersants to be the Agent Orange of this oil spill. SEN. BARBARA MIKULSKI: I'm concerned because I feel and I believe, and my reading verifies, that we don't know enough about the impact of dispersants and dispersed oil on people, marine life and water quality. I'm very concerned. And my question is, should we ban them? Should we take a time out from using them? What are the short- and long-term consequences of using them? 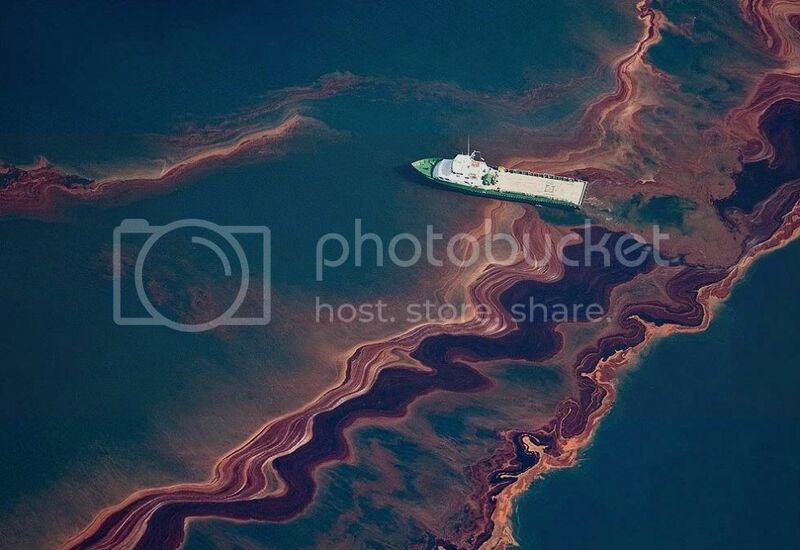 I don't want dispersants to be the Agent Orange of this oil spill. And I want to be assured, in behalf of the American people, that this is OK to use and OK to use in the amounts that we're talking about. AMY GOODMAN: Maryland Senator Barbara Mikulski. While concerns over the impact of chemical dispersants continue to grow, Gulf Coast residents are outraged by a recent announcement that the $20 billion government-administered claim fund will subtract money cleanup workers earn by working for the cleanup effort from any future claims. Fund administrator Kenneth Feinberg says the ruling will apply to anyone who participates in the Vessels of Opportunity program, which has employed hundreds of Gulf Coast residents left out of work because of the spill. It's seen as an effort to limit the number of lawsuits against BP. We're joined now by two guests on these two issues, on Corexit and the workers. Independent journalist Dahr Jamail is joining us from Tampa, Florida. He's been reporting from the Gulf Coast for three weeks. His latest article at Truthout is called "BP's Scheme to Swindle the 'Small People.'" And from Washington, DC, we're joined by Hugh Kaufman, a senior policy analyst at the EPA's Office of Solid Waste and Emergency Response. He's been a leading critic of the decision to use Corexit. We welcome you both to Democracy Now! Let's begin with Hugh Kaufman. First of all, explain what Corexit is, the company that makes it, what's in it, and your concerns. HUGH KAUFMAN: Well, Corexit is one of a number of dispersants, that are toxic, that are used to atomize the oil and force it down the water column so that it's invisible to the eye. In this case, these dispersants were used in massive quantities, almost two million gallons so far, to hide the magnitude of the spill and save BP money. And the government--both EPA, NOAA, etc.--have been sock puppets for BP in this cover-up. 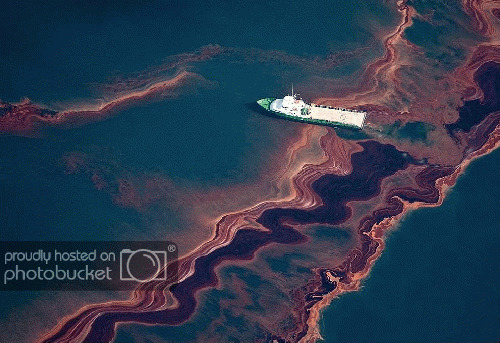 Now, by hiding the amount of spill, BP is saving hundreds of millions, if not billions, of dollars in fines, and so, from day one, there was tremendous economic incentive to use these dispersants to hide the magnitude of the gusher that's been going on for almost three months. Congressman Markey and Nadler, as well as Senator Mikulski, have been heroes in this respect. Congressman Markey made the BP and government put a camera down there to show the public the gusher. And when they did that, experts saw that the amount of material, oil being released, is orders of magnitudes greater than what BP and NOAA and EPA were saying. And the cover-up started to evaporate.